The day my dog became a part of my family is a day I will never forget. I had wanted a dog for many years, so when my family and I moved from New Orleans to Jackson, I was finally able to get one. On that day, driving an hour to a local woman with puppies picking up my tiny dog and driving the hour back, a new chapter in my life was started. Before that drive, I didn’t fully understand dog lovers’ appreciation for their pets. I only saw others relationships with dogs such as on television, at friends houses, and on walks with neighbors, but I had met many in my life and none had let me down. The deepest I could see into why dog lovers loved their pets so much was that they were fun to pet, walk, and play with. The day I got Krash my love for dogs, and understanding of why others love dogs so much, increased tremendously. 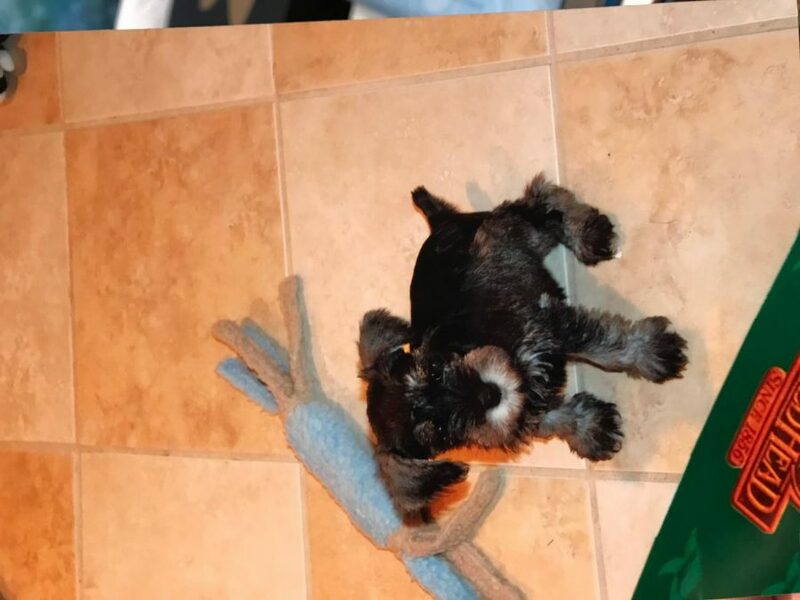 Watching my Miniature Schnauzer grow from a tiny, bearded puppy that could fit in one hand to the compassionate friend I know today has taught me many lessons. He not only showed me the alluring qualities of dogs but the beauty of a special man-dog relationship. Dogs are a commitment to take on, but at the same time they are committed to you. Owning a dog hardly feels like a responsibility, more like a strong friendship. Victoria Mungan, owner of a very unique greyhound, sees her dog as a friend, family member, and a chore. “I see my dog as a whiny and high maintenance younger sibling that is also my best friend,” Mungan said. This special relationship between people and dogs has existed for a long time, rooted back to the first encounters of humans and wolves. It is a debate as to where and how long ago the domestication process began, but it is agreed that all the great species of dogs we have today came from a variation of the modern day wolf. From the first days of human’s interactions with and later domestication of wolves, dogs have been made to serve their people, and evolved to be man’s best friend. Dogs have become more like human infants than their wolf ancestors in order to communicate, please, and better live with people. This special talent for communicating with humans has given dogs the ability to form deep, meaningful relationships with their owners that many other kinds of animals can’t form to the same degree. My relationship with Krash is unlike any I’ve experienced with friends, animals, or past pets. My dog and I understand each other, from his puppy eyes and head nods to go outside and droopy-eared whimpers when it storms to sitting next to me after school motivating me to do homework or just being happy to see me. Dogs have truly evolved to not only help humans, as they were originally intended, but also to be man’s best friend.